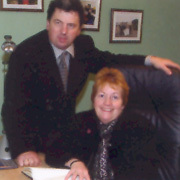 Country Clean Recycling is owned by David and Mary O'Regan and has its headquarters at Mallow, Co. Cork and a branch network in Cork City, Midleton and Carrigaline. David O'Regan entered into the waste management industry in 1990 by setting up a waste collection service in his local area of Shanballymore. Services originally focused on provision of a domestic waste collection service in the Mallow area of County Cork. The driving force behind the expansion of Country Clean Recycling was the realisation that waste producers want to deal with an independant company that can combine technical expertise with a personal service. Country Clean Recycling. went from strength to strength, taking over nine other waste collection companies during the period of 1991 to 2003. The most recent take-over, in June of 2003, brought the company into the waste skip market, acquiring Cork Mini Skips in Churchfield. At this time the company developed a Material Recycling Facility (MRF) in Cork City for the recovery of recyclable materials, which are packaged, stored temporarily, and subsequently transported for recycling. Continued awareness of environmental issues geared the business to provide a segregated waste collection service in line with environmental interest. The company now employs 90 staff over three company locations, and hosts a fleet of 30 waste collection vehicles for serving the Munster area. Consistent company growth may be attributed to its avid interest in the waste management industry and advancement of same.